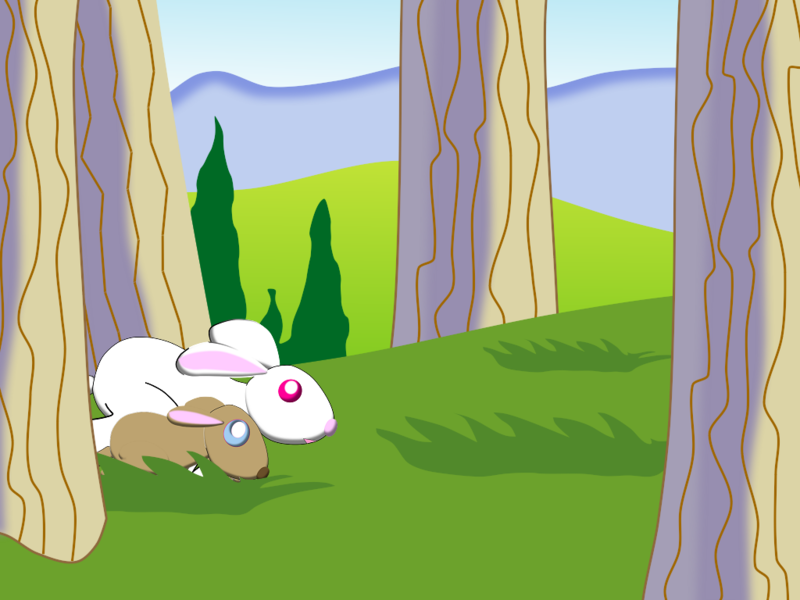 Bunny Tails : The Rabid Wizard tells the endearing story of a peaceful loving bunny world that is suddenly and abruptly interrupted by the kidnapping of our heroine's brother. Once upon a time, there was a world full of happy bunnies. They lived in peace and harmony in the grassy forests of the world. Enjoying many pleasures and treats, carrots naturally grew in the forest, together with pineapples, watermelons, and celery. The bunnies enjoyed these every day and happiness surrounded them. Cherry the bunny took care of her baby brother Choco. Choco was only 3 months old when Cherry began taking care of him. Cherry would always be protective of her little brother and lead the way whenever they would go adventuring together. There has been a total of 9018 visitors (18527 hits) on this page since March 20, 2014!